Subterranean termites in Lancaster, PA are a common thing. At TELE-PEST, we use proven techniques to eradicate the termite problems from your Home or Business. Every year, Subterranean Termites cause millions of dollars worth of damage to properties throughout Lancaster county. Left unchecked, the termite problems can destroy foundations and make entire structures uninhabitable. We offer annual Termite inspections for both Residential and Commercial properties to identify and eradicate Termite infestation before they cause problems. We also provide preventative services to save you money and prevent problems down the road. For more information, download our termite fact sheet. The technicians at TELE-PEST Termite and Pest Control are fully licensed to apply Termidor Termiticide. This Safe yet powerful termiticide is the best way to eliminate Termite infestations. We also offer Creative Approaches that are less invasive than those of our competitors. 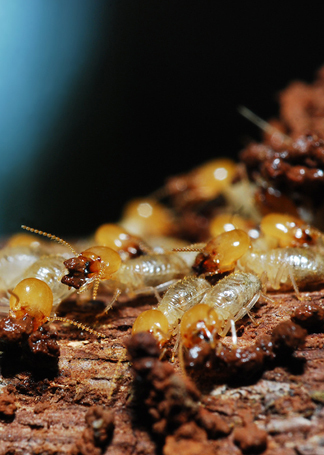 Using both injection and foaming techniques, we have achieved a nearly 100% Success Rate in the Control of Subterranean Termites. That means Zero complaints, Zero callbacks, and Total Customer Satisfaction every time.